Lest you think that I never cook vegetables, you would be wrong. I do cook them...occasionally. Now, they may not be particularly healthy but I do cook them. And, they are delicious. Tonight, I decided to break away from the usual potatoes that we cook with our steaks and made some squash instead. Here's how I threw them together. 3 medium squash, about 1 1/2 lbs. 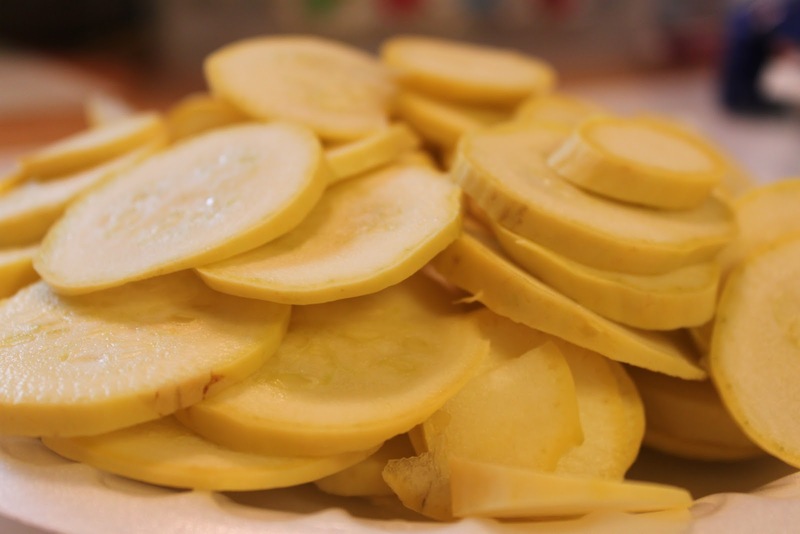 This is three medium squashes, thinly sliced. Well, here's the unhealthy part - three slices of bacon, chopped. 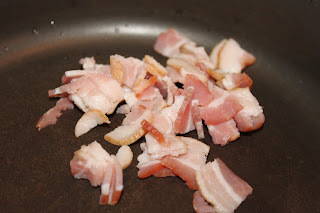 Saute until crisp and remove from pan. Leave the drippings in the pan. 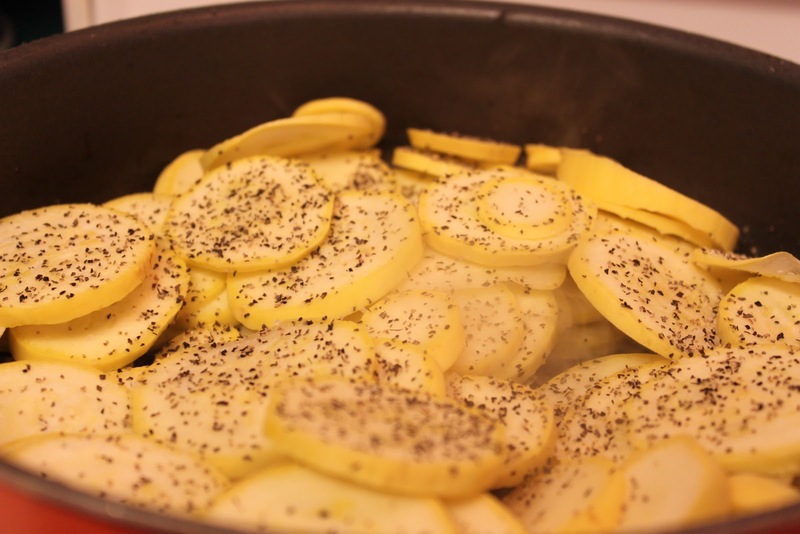 Add the squash to the pan and sprinkle on some salt and pepper to taste. Saute until the squash are soft and turning brown around the edges. 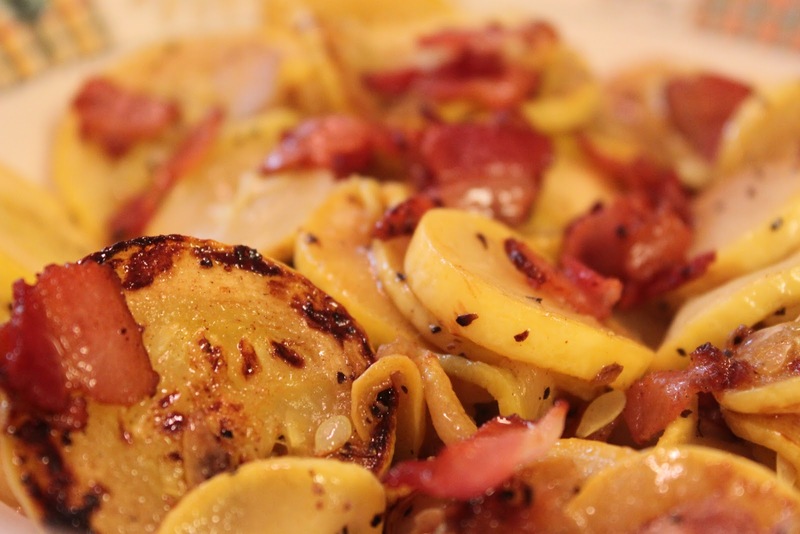 Before serving, sprinkle the bacon back into the squash. Enjoy!